Happy 4th of July, I hope everyone is having a wonderful time with friends and family today. We’re having a relaxing evening with a terrified chihuahua who wants nothing to do with the fireworks outside and sitting in my lap violently shaking. Not a bad way to spend it after a crazy few weeks, we just finished watching Run, Fatboy, Run and it’s a funny comedy that runners will appreciate. With the heat ragging here, I’ve been craving lots of cold fruits and salads. 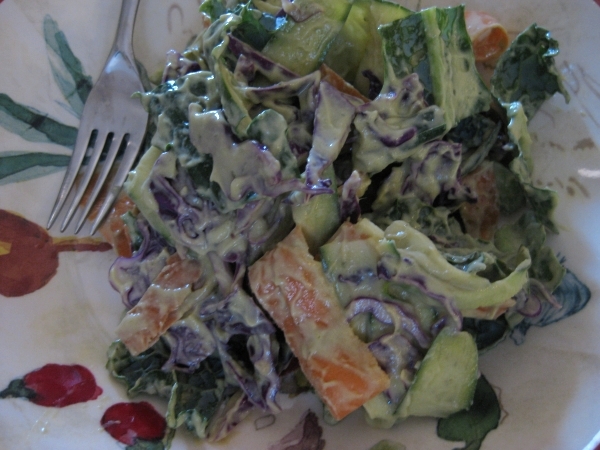 Like this kale, cabbage, carrots and zucchini with avocado-tahini dressing salad for lunch yesterday. 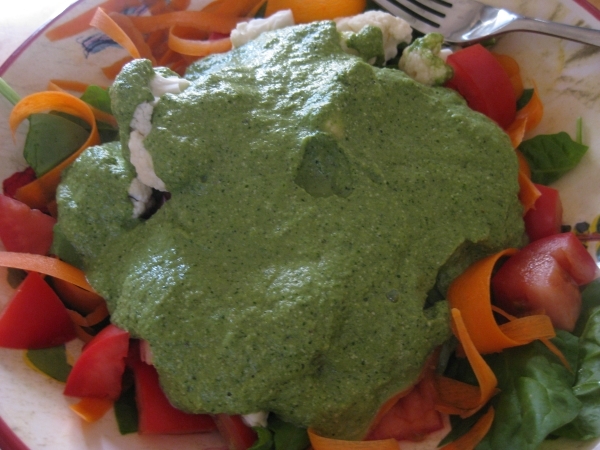 And this spinach-carrots-cauliflower-tomato with cilantro hemp seed pesto dressing for dinner last night. 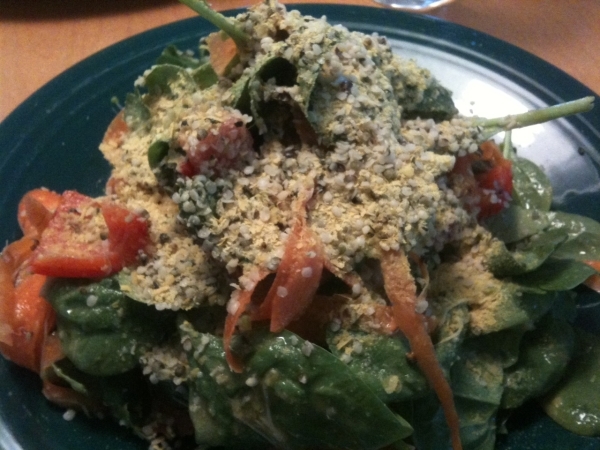 And this one – spinach, carrots, sprouts, tomatoes, red peppers and avocado topped with Ani’s orange-ginger-miso dressing, nooch and hemp seeds for lunch today. And plenty of fruit-loaded smoothies. 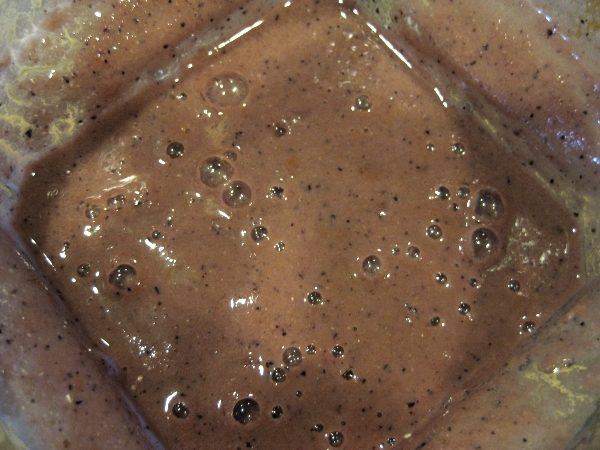 Trader Joe’s had a great price on organic blueberries and kiwis, great smoothie adds. 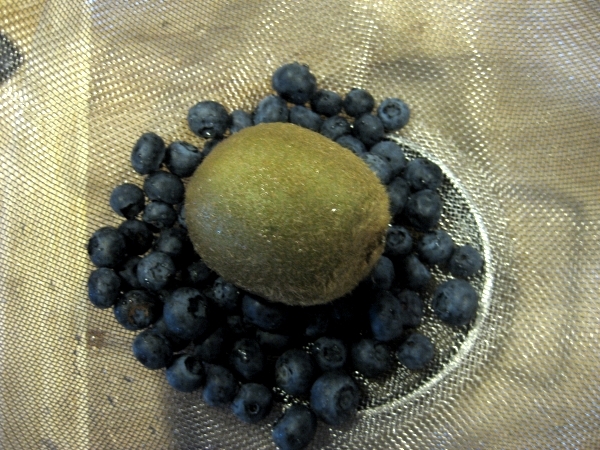 I actually like kiwi with the skin on, it’s not bitter to me at all and I just throw the whole fruit into the Vita-Mix. This mornings smoothie was SunWarrior protein powder, chia seeds, carrots, cabbage, kiwi, blueberries and watermelon – great combo! And great workout fuel. 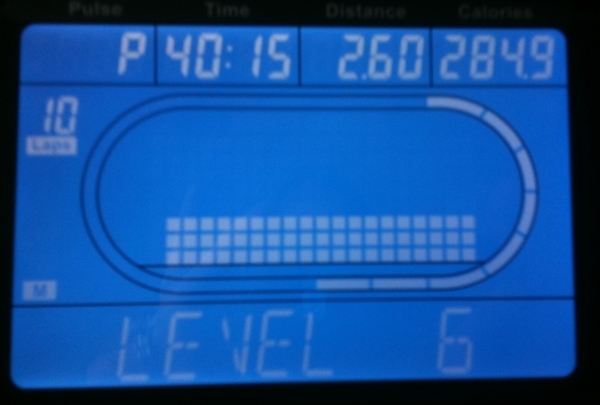 I’ve been creeping up the time and levels for my elliptical workouts, currently at 45 minutes while rotating directions and burning 300+ calories. I’ve been seeing great cardio progress since picking up running again. 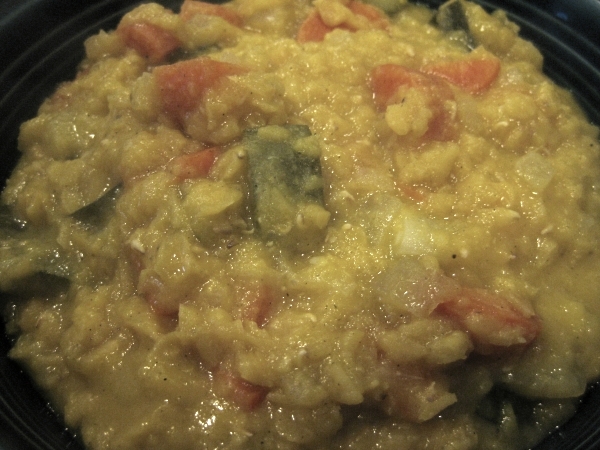 For dinner tonight, I got experimental with red lentils and oranges I needed to use up by blending 3 oranges with thyme and pepper in the Vita-Mix and pouring it over simmering lentils, onions, carrots and zucchini. 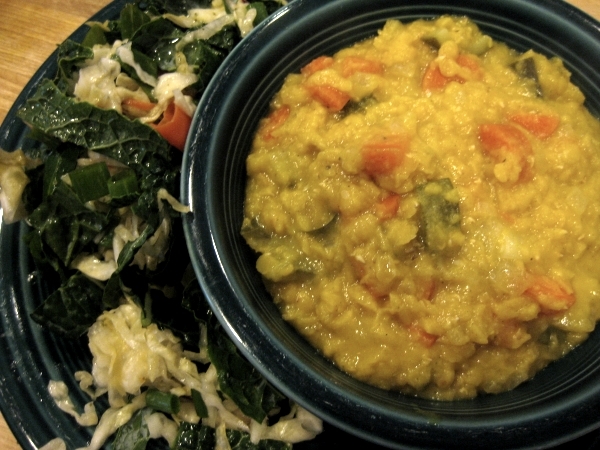 Orange flavors go beautifully with red lentils and made the kitchen smell wonderful while simmering with a bay leaf. A recipe I must perfect and post soon! And it paired well with a kale, sauerkraut, sesame salad. ok kiwi, cantelop, and honeydew are not my melons. 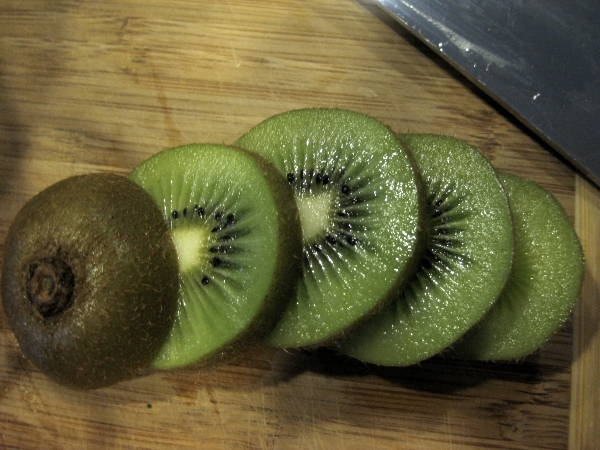 But i never knew until recently that ppl actually ate kiwi skin. learning new things all the time i tell ya! Tofu from TJs. I just got a tofu press (posting a recipe tomorrow) and i can see myself buying more tofu in the future. I will keep an eye out, i know you said you just bought their brand. Happy Monday. Hope you’re spelled off from IT crap! Oranges and lentils…never would have thought if that. I’m intrigued to give it a go! Glad you had a good fourth! This post just made me so hungry!!! Everything looks so good. I also can’t remember the last time I had a kiwi. hope you puppy survived-it can so be frightening for them. your salad looks great and refreshing for the heat. hope you have the day off today to relax……. Would love to send you a sample of our Running Food or Purely Chia chia flour! Call me at 315.685.2310 and I’ll get some out to you! What interesting combos you’re blending up! But I like them! 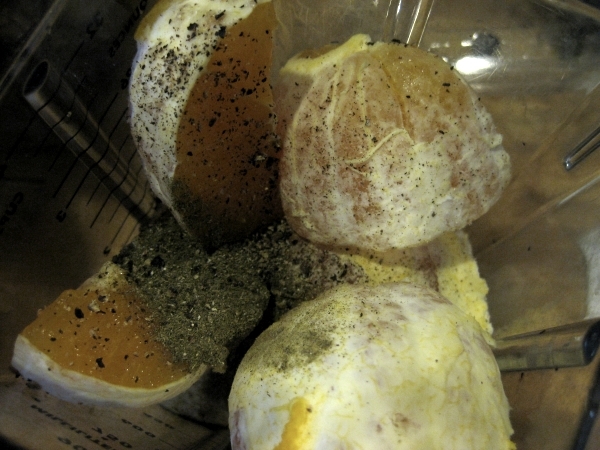 Orange with spices for lentils? Carrots and cabbage in a smoothie? I love the creative uses!! !